Thomas Jefferson was arguably one of this country’s greatest presidents, and we can tell this via his accomplishments and failings. 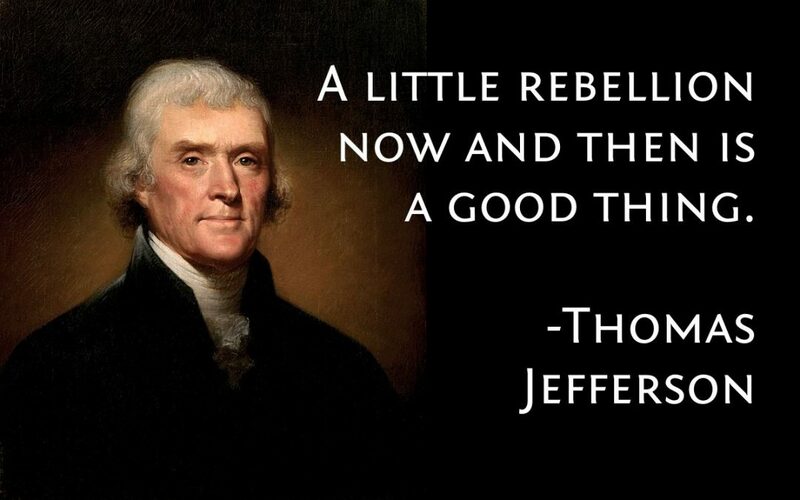 As an anti-federalist, Thomas Jefferson believed that the new United States should look after its own, be fiscally conscious and support its own at the state level. This is disimilar to both the current incarnations of the Republican and Democratic parties. While Jefferson’s adminstration averaged a higher cost expenditure, overall, than the Adam’s administration (federalist president) they were able to reduce the National Debt faster than the Federalists. Jefferson, true to his beliefs, lowered the internal tax rate twice, but also rate import tariffs and naval taxes for ships, creating extra income to offset that financial loss. This was smart policy that allowed the American businessman to keep more income while costing corporations and foreign sources more to sell foreign goods in the United States. Something that should be applied today. Taking a look back, another way Jefferson’s anti-federalist policies helped cut costs was by reducing the number of foreign embassies to 3: Spain, France and England, the world’s then super-powers. Following suit in today’s political climate would also save the national debt, while not inhibiting access to smaller counties worldwide. As evidenced by the clash between Tripoli and the Barbary Pirates during his terms, this was no impediment to international communication even at a time when you could not get in communication with another half a world away by picking up a phone. 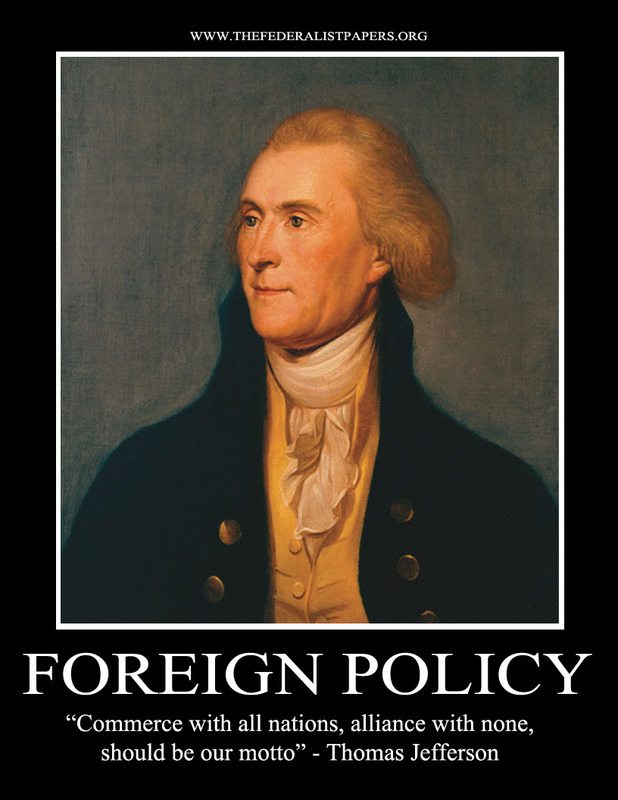 Speaking of Tripoli, an example of the anti-federalist policy on military conflict is thus: Jefferson cut the military immensely, something that our current Republican party would find abhorent. He understood the geopolitical nature of our world better than does any of our current politicians. When Tripoli started capturing merchant vessels from the United States, with the navy that the united states had, after it was minimized, Jefferson was able to enforce a surrender and terms of peace in a relatively short span. Accomplished with a small force, this demonstrates the superiority of American naval warfare and tactics. A large standing military is unnecessary now as it was then. The one downside to Jefferson’s conflict with Tripoli is that he set a precedent for creating an “undeclared war” which numerous of our more militaristically minded presidents have taken advantage of to pursue their own ends. So what do we learn from these limited instances of Thomas Jefferson and the anti-federalism policies? It can be understood that while Jefferson was a principled man, he was also prone to violating his own principles in what he considered economic and political necessity. While rare, Jefferson could be ruthless about fulfilling his ambitions and protecting his country, which has created one particular slippery slope concerning the Executive capacity for warfare. Overall, Jefferson’s administration provides a working model of what a president should act like, and policies that will large part hold to a course of prosperity. Share your opinions on his presidency or what you would like to see from our next one.